Thanksgiving is in JUST A LITTLE OVER TWO WEEKS! No cause for panic, there is still plenty of time to gather your recipes and ingredients. We are going to be guests this year, so I kinda have it easy; but if I were cooking a turkey, this is how I’d do it; moist, tender, very flavorful, the gravy was a snap to toss together AND gluten-free! 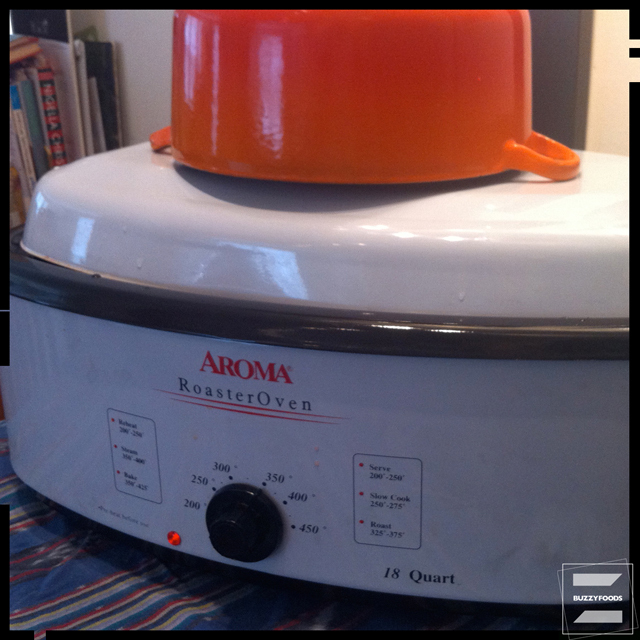 All you need is a a bit of cheesecloth, turkey, cider, and bourbon… oh and an immersion blender; you really need one of those. Special Note: this bird is not really brined as much as it is marinated, but you do need to plan on starting the day ahead. 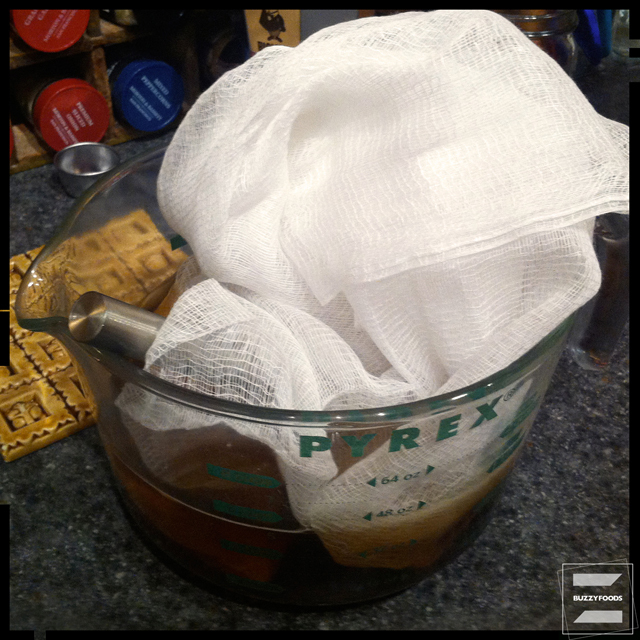 Whisk the bourbon together with the brown sugar and the cider (or apple juice), then add the cheesecloth and push it down into the liquid for a nice soak. Remove the giblets and neck from the turkey and stash ’em in the fridge until it’s time to make the gravy; then rinse the bird, pat it dry, and place in a pot or pan big enough to hold the bird and small enough to fit in your fridge somewhere. 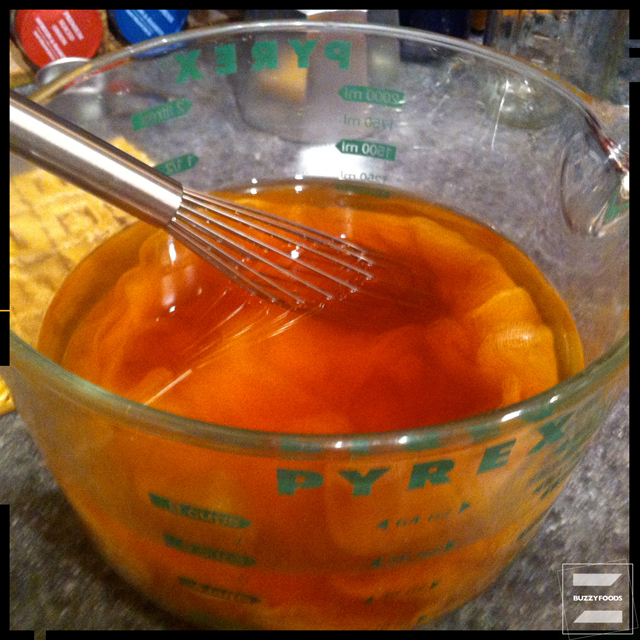 Remove the cheesecloth from the bourbon mixture and drape it over the bird (breast side up) in the pan. Pour the bourbon mixture over all, then cover loosely and stash the bird in the fridge for at least 12 hours and up to 24 hours; basting with the liquid when you think of it. Note: I was doing a gluten-free feast, and so chose not to stuff my turkey, which meant that my roasting time was cut back. I also experimented with a hot-water corn bread and wild rice dressing that, ermmm, needs some work. Mebbe later. 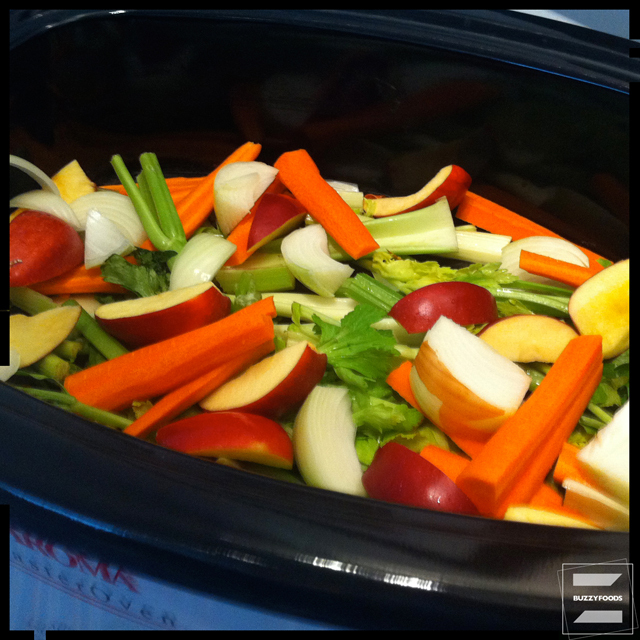 Line the bottom of a large roasting pan with your aromatics. If you look really closely at the image above, you’ll note I didn’t even peel the onions – you don’t need to get fussy with them, and truly, those skins and things will add flavor. 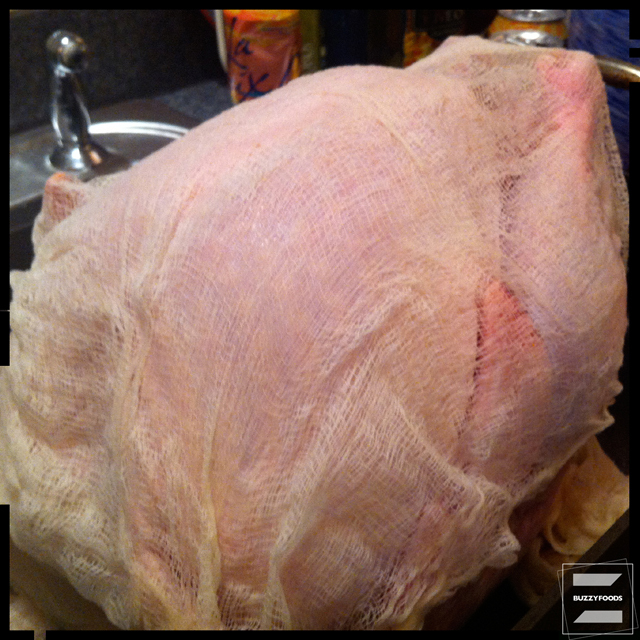 Remove the cheesecloth from the bird and chuck it. Rub a bit of salt into the cavity of the turkey, then rub additional salt and pepper into the skin of the bird and place it on top of the aromatics. Pour three to four cups of the bourbon marinade over the turkey – I used four cups, but I was also cooking my bird in a roaster oven, so if you are using a smaller roasting pan, use your own judgement. Discard any remaining marinade. Cover (you may note that I needed some help with that) and bake for 3-1/2 to 4 hours, basting every 30 minutes or so, until a properly inserted meat thermometer registers 165°, or a button pops up, or whatever is your method of choice for ensuring a well and truly done bird. 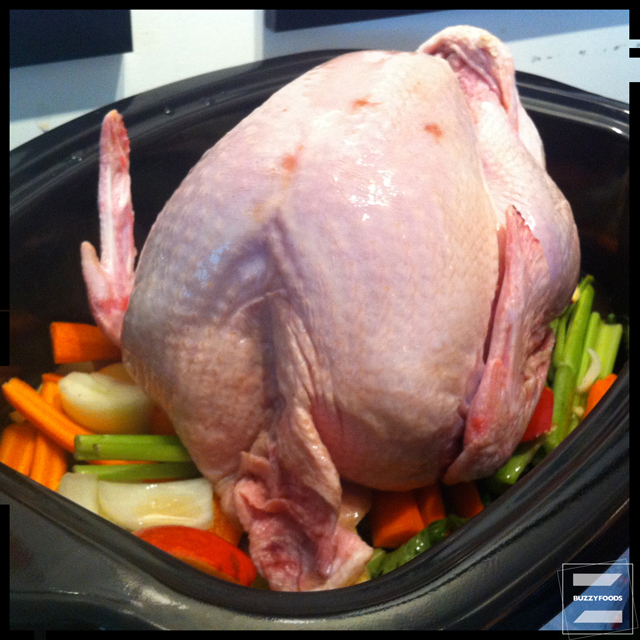 When the bird is ready, remove it to a platter or carving board and let it rest for 30 minutes. Strain enough of the turkey cooking liquid into a pan to cover the reserved turkey neck and giblets. Sorry, I was a might busy at this point, and didn’t take pics. Bring to a boil and simmer for about 30 minutes, until done. Remove the neck, then add some of the aromatics from the roasting pan to the giblets in the pan, and give a good whiz with an immersion blender. Taste the nicely thickened – and safely gluten-free – gravy and correct the seasoning – I thought a bit of salt and pepper perfect. Carve your bird, arrange on a platter (next year I need to get me a larger platter) and serve with the rest of your feast day goodies. 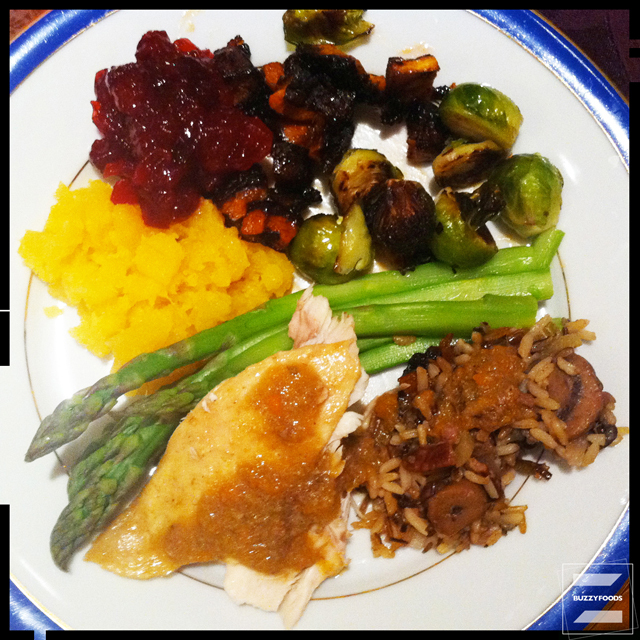 We had ours with roasted sprouts, steamed asparagus, mashed turnips (rutabaga) and cranberry relish. 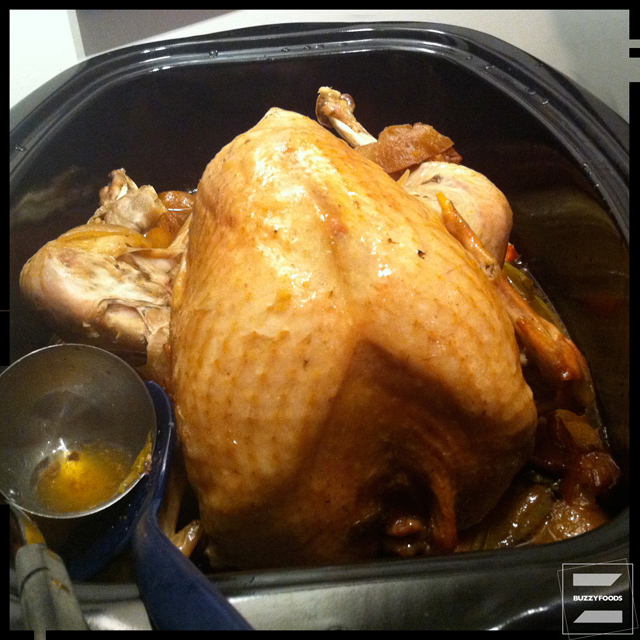 This entry was posted in Chicken/Turkey/Duck and tagged Apple Cider, apples, Best!, bourbon, Gluten Free, turkey. Bookmark the permalink.